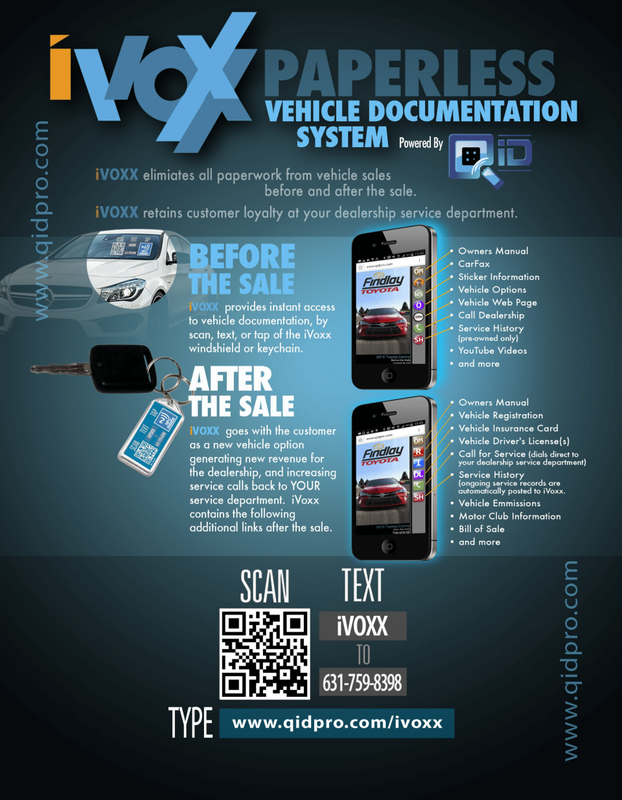 iVoxx For Vehicles Auto Dealership have discovered a new application for QiD to distribute vehicle documentation to customers and prospects and also to share the information with friends and followers on social networks. iVoxx is a QiD companion product that contains useful information about the dealership and the vehicle before the sale. And after the sale, iVoxx contains information about the dealership, the vehicle, and the owner/driver.